How Much Are You Willing To Spend For Super Bowl LIII? 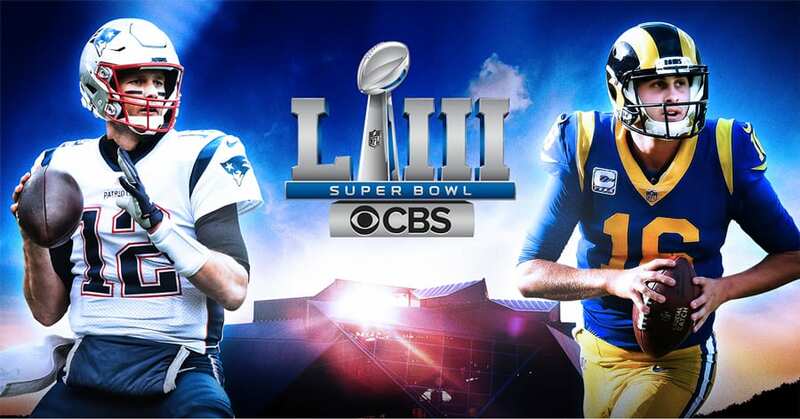 The New England Patriots and the Los Angeles Rams will compete this Sunday, February 3 for the Super Bowl LIII winning title, and a ticket to the game may be the hottest commodity in the world right now. Despite the fact that get-in prices have fluctuated wildly over the past few weeks, those of you still looking to attend should expect to part with thousands of dollars for a ticket. The question is: how much are you willing to spend to see the game live in this shiny, new Mercedes-Benz Stadium? So far, Massachusetts leads all other states in Super Bowl purchases, with California not too far behind. As expected, these two states have bought the most tickets since their teams are playing for the grand title. Following Massachusetts and California in ticket sales is the hosting state, Georgia. So what can other fans who have yet to place their orders expect to pay to see their teams face-off? The lowest get-in price for a pair of Super Bowl LIII tickets is currently going for $5,630.99 with no added service fees on Ticket Club. This price is for two seats in Upper Sideline 314, Row 26. At TicketClub.com, Super Bowl consumers can rest easy knowing they not only found the best deal, but they also will have their tickets in-hand way before they leave for Atlanta. If you’re feeling really adventurous and are willing to throw your money around for the ultimate Super Bowl experience, spots for the best seats in the house are still up-for-grabs. Tickets in the “SunTrust Club” will land you a spot right at the 50 yard line. If you desire the absolute best view close enough to see the most intimate details of the game, you’ll pay at most $12,360 on Ticketmaster. Only the smartest fans wanting to score seat at the 50 yard line will shop on Ticket Club, where you can find tickets in the same section for $3,721 less. As ticket prices climb, it becomes harder to justify dropping the money for a single day; especially given the price is equivalent to buying a young, used car. Nevertheless, hopefully scoring tickets on Ticket Club will make the difference for those die-hard football fans still looking to attend. On this site, the added benefits can potentially outweigh the get-in price. On top of receiving tickets without any added services fees, the security in knowing you will not have to track down your tickets hours before the game is worth every penny on Ticket Club.